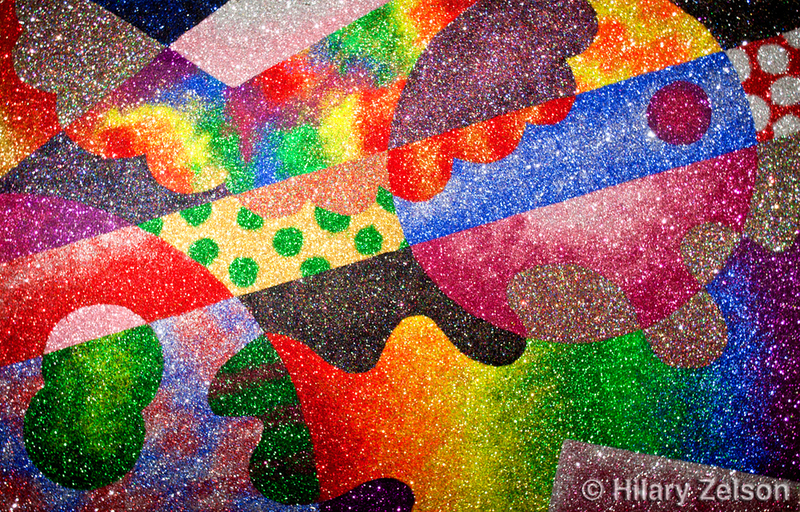 Balance and color are the primary foucses of the series "Glittering Shapes". 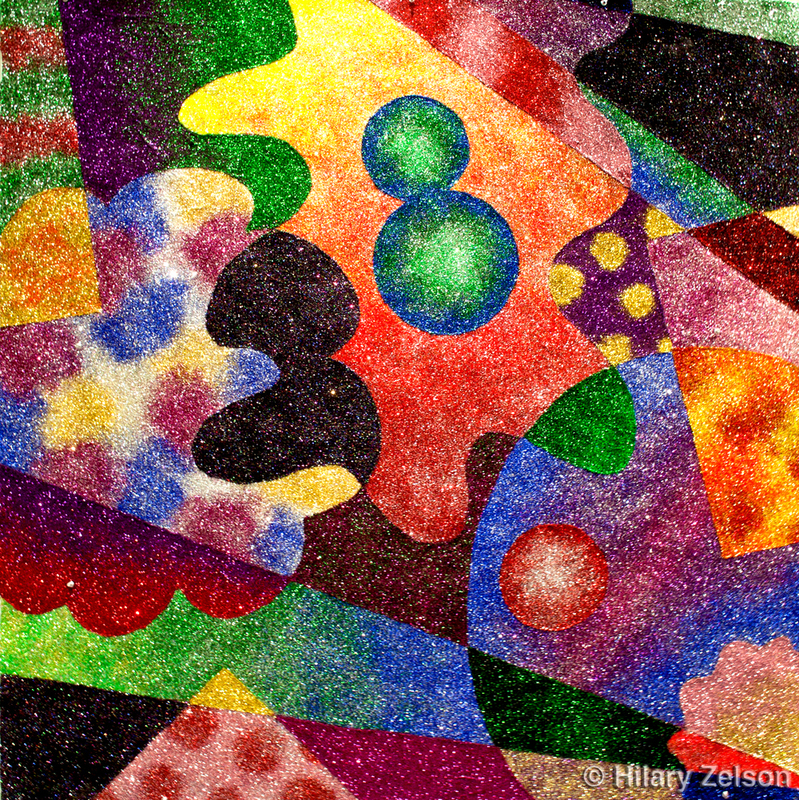 I begin my drawing the composition and then filling each shape in with a different pattern or color. There is no planning done in advance. 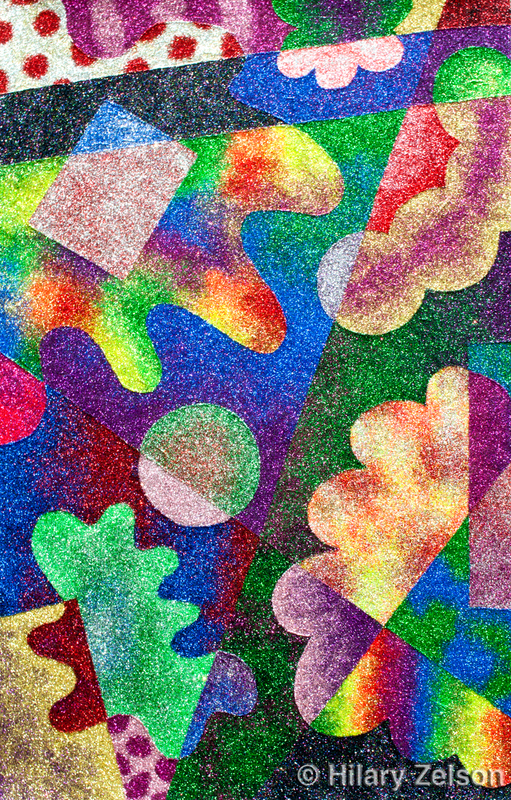 I like to feel how various shapes and colors react to the surrounding areas. Sometimes the color choices feel comfortable, and sometimes the colors are very severe. Overall, I hope to convey a feeling of confusion and yet excitement as your eyes wonders throughout the paintings.